Time for a minor update on a couple of projects. I delivered the sequel to Revenger at the end of 2017, but after taking a couple of months away from the book, I began to feel dissatisfied about the ending. It was not so much that there was anything badly wrong with what I'd written, but that the ending the book deserved lay a few chapters beyond the point where I'd stopped. So, with the agreement of my editor, I took the book back during February and re-delivered it with a revised and extended conclusion, while also making a few small alterations to the rest of the text. The book is now going through the usual editing process. We have a title, by the way - Shadow Captain. 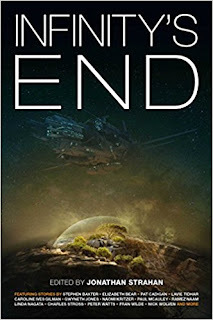 In between delivering those two versions of the book, I also wrote a new story, Death's Door, which I am pleased to say will appear in Infinity's End, the last of Jonathan Strahan's "Infinity" series of original anthologies. My story (not connected to anything else I've done) is set in a hyper-connected solar system of the distant future, in which almost every conceivable niche has been colonised in some fashion. I really enjoyed writing it, and am delighted to have made the cut for the culmination of this series. With the revised version of Shadow Captain off my desk, I spent the rest of March and April writing "Permafrost", a long novella about time travel, about which I'll have more to say when we finish the editing process. I've long regarded time travel as one of the central pillars of science fiction, but it's not one I'd ever really addressed in any depth, even though it does feature obliquely in one or two stories and books. With this piece, time travel was to be the heart of the story, and I wanted to attempt to find something fresh in this age-old theme. Other than Permafrost, the rest of the year will be taken up with editing and preparing Shadow Captain, as well as drafting the follow-up to that book, for which the provisional title is Bone Silence. And doubtless, one or two other things. What is there to report from the exciting world of music? I'm pleased to have picked up the second album from Blackpool's Rae Morris, new to me even though it came out in February. Morris's first record was an exceptional piece of work, and the new one is just as good, and perhaps even more sonically inventive. I hope it does well for her, as she seems to be a striking and unique talent, with a one of those once-in-a-lifetime voices. But is she loud and brash enough for these times, I wonder? 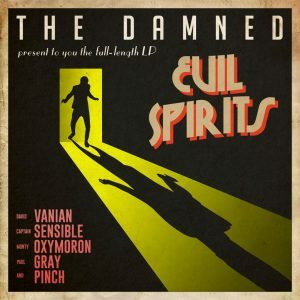 In something of a contrast, I also acquired the latest album from The Damned, long-time favorites of mine, and now pushing into their fifth decade as recording artists. The Damned are great. They tend to crop up on those "story of punk" type documentaries with their first single, New Rose, famously the first punk single in the UK, and thereby assuring them a snot-encrusted place in that particular strand of history. New Rose is still thrilling, no doubt about it. But there's rarely any consideration given to the rest of their career, which soon saw them bursting through all sorts of musical barriers, as well as practically inventing "goth rock". By the time of their fourth full-length record, The Black Album, they were displaying an astonishing musical and lyrical sophistication, culminating in the amazing Curtain Call, which references Rimsky-Korsakov, of all things, and on which David Vanian delivers one of the great vocal performances in the history of the world. The follow-up, Strawberries, is just as fantastic. They've had some ups and downs in the ensuing decades but the new album is exactly what you'd want, and I like it very much. Finally, although it's not a 2018 release, I've been really enjoying the new War on Drugs album. I bought it soon after it came out, but I couldn't tear myself away from their last album long enough to do it justice. Few records have invaded my head-space as thoroughly as 2014's Lost in the Dream, and I count myself very lucky indeed that I stumbled on the record at all, largely because it was on of those in-flight entertainment systems one time. Anyway, whether or not the new one is as good is moot; few things ever will be, but it's certainly a very, very accomplished record. Approach if you like Springsteen, Kraut-rock, etc - an odd but effective juxtaposition. I was wondering if you had planned to give Terminal World a sequel, I understand you've got other things to do but I know from the handful of people ice had read Terminal World, they have all loved it and wanted the next one. I've been monitoring the net every so often to see of there is any news but none so far, I'd greatly appreciate a reply concerning its sequel. Thank you for taking the time to read my comment. I hope you have a splendid day. Hi Unknown - no plans as of present. I still like the book but I don't think it was terribly popular among my titles, certainly at the time, so it's debatable whether there'd be any enthusiasm for a return to that world. I think TW works well enough as a standalone, in any case, so at least there's no obligation for a sequel. I loved Terminal World, and would love a sequel one day! TW was great and is probably my wife’s favourite book of yours (along with Revenger). Thank you for the update AR. Death's Door and Permafrost sound very interesting, looking forward to getting them asap. Both are right up my alley of favourite themes. As far as I understood you won't be working on any other full length novels than the ones set in the Revenger universe. I liked the setting of Revenger, but did not like the main character(s), the sisters. I will check out the sequel nevertheless, hoping for some more world building and history reveals. If you haven't read it, I can recommend Smashing It Up: A Decade of Chaos with The Damned. I proofread it and can report it's a damned (urrrr) good read. Thanks, Nick - I mean to check it out. Two more Revenger books sounds great to me! I recently finished Elysium Fire, and am several hours into Blue Remembered Earth. Your books are wonderful... thank you for all of the great work. As I have entered my mid 30s, things have spread out somewhat. But this half-circuit I've found myself on a proper SF binge. Book revisits of "Diaspora" and "Schild's Child" and a virgin read of "Children of Time". The first new entrant into the Anglo-SF hall of fame since the 2000s in my opinion. A revisit via audible of "House of Suns" and then a first read in hardcover/gold print of "Belladonna Nights". "Open and Shut" via url and then audible of "The Prefect" and "Elysium Fire". Audible revist of previously book-read "Excession" and now half-way through a revisit of "The Hydrogen Sonata" read by Peter Kenny. Just as a dead virtual-crewed Gzilt warship enters stage to face the smart-matter-esque Berdle, Banks' ship avatar posturing on stage right. As an Australian of Welsh and Scottish descent via Gravesend circa 1837, I'll be so blunt as to say with Sir Iain dearly departed, Mr. Hamilton seemingly scratching the label at the end of his record, and Western Australia's Greg Egan off on orthagonals, my personal sustennace of explorational Anglo HHSF (Hard/High Science Fiction) falls to rest on your shoulders Mr, Reynolds. No pressure. Drop. 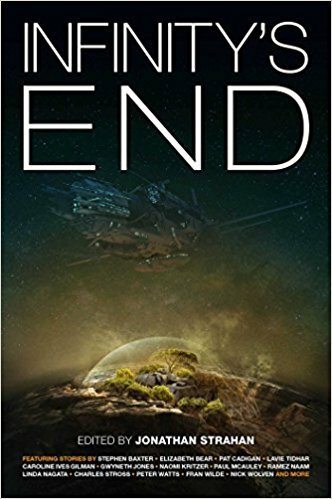 I may be unlikely to read Death's Door / Infinity's End due to my preference of ebook/audible/hardcover releases over paperbacks, but I massively enjoyed your recent Weight of Words feature, pics attached. I always connected with team Purslane. Campion was like every ex-partner I wanted to berate for living in the moment, while at the exact same time being jealous of for doing so (and willfully pouring my energy into creating practical solution to support their endeavours). House of Suns was also probably the first 'High SF' title I have read with an inpenetrable foundation (the love of two sentients) and a happy ending (not telegraphed or deus ex machina, but what every reader really wanted to see play out). I suppose that what I am getting around to saying is please keep it up. And write a new High SF story or thrice, soon, thanks. Always love new stories from you sir. Very happy to have been able to revisit the world of Prefect Dreyfus and his team. I remember back when The Prefect first came out you told me that when picturing Dreyfus you saw Forest Whitaker. I wondered if you 'cast' any others in his team while writing. I also had Gene Hackman as Gaffney, if I remember. These aren't to be taken too seriously but if I can hold an actor in mind, just while visualising a scene, I find it helps as a kind of mental sanity check. I still think Whitaker would be excellent. I always imagine him as Whitaker now. :-) Gene Hackman as Gaffney! Brilliant. 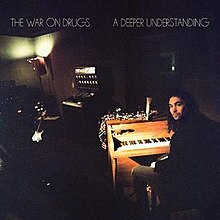 I'm glad you've been enjoying the new War On Drugs record. I love how he approaches arrangement; every song is something to get lost in. I hadn't heard of Rae Morris, but I just listened "Someone Out There" and enjoyed it. She's got quite a voice, and the song itself is a memorable one. I look forward to listening to the whole record. I'm currently reading Revenger and liking it a lot. The Congregation is such a fascinating setting, it feels like a story ripe for a trilogy, so I'm really glad to hear that you're writing at least three books in the universe. Shadow Captain is a great title, I immediately thought of the Crosby Stills & Nash song, which I imagine may have been an inspiration. Bone Silence is also a great title, I really hope you keep that one. Great. Looking forward as always to new books and stories. As far as music goes, I'll check out some of the artists you mentioned. For me though, I've been getting right into Blackfield, a Steven Wilson and co. side project. Each album is pretty good, especially their last, Blackfield IV. And Soen, a kinda Swedish version of Tool but with a pretty unique signature sound. For so many years I've been hoping, waiting for any mention of a sequel to Pushing Ice. At one point my hopes were high but it's been so long... I think it's time for me to let it go. I wouldn't mind having a stab at it, believe me, it's just a question of writing other stuff first. Alright then, I believe you. I won't give up on it. I loved the worldbuilding of Revenger: The whole idea of using machinery in the skulls of long-dead aliens to hear whispers transmitting through space, the baubles and the crews opening them for lost tech like archaeologists in Egypt, the sunjammer ships, all of it. That book felt like a grand adventure and I’m happy to hear you’ve gone back to it. There’s definitely a lot of story left in that universe. Thank you for keeping us updated! At the risk of being annoying by piling on another “Will you do a story in (X) universe again?” I’m wondering if you’ve got any plans to return to the gothic-horror style of those post- Belle Époque RS novels. I can’t get enough of that stuff! Hi there! Thanks for the update! BTW, don't know if you noticed, but most of the pages over on www.alastairreynolds.com seem to have been vandalized with pharmaceutical spam. I noticed because I wanted to look at the Revelation Space timeline, which has now become practically illegible. Like Al said below, might be a browser issue. I checked also and no issues. It's a pain when it happens. Krijn, all the pages look fine to me. I suspect you have a virus (or something). It's overdue for an update, but (just from the links I checked now, including the timeline) I don't see anything out of the ordinary. Could be a browser issue? Hey Al, I've loved the handful of your stories I've read so far. I agree, time travel is a definitely a central pillar to SF, and if you're trying your hand at it then I'd be thrilled to pick it up. I've stayed mostly to the audiobooks through Amazon's Audible platform and loved the narration. While I'm still fairly new to your RS universe, I wonder if you've considered narrating your own stories. As a new fan, it would be great to hear it read straight from the author's perspective. Anyway, keep 'em comin. Your writing is amazing (coming from a fellow astrophysicist/planetary scientist)! I've got one of those boring, nasal voices, I'm afraid, so it wouldn't be a good thing for me to narrate anything of length. I did do a narration for the story "Scales" for the Guardian, which may still be on the web. Al, still one of your big fans. When I saw the title "Shadow Captain", I kept thinking of the Crosby, Stills, Nash song of the same title. Any reference there, subtle or otherwise? Yes, it's a wonderful song and the lyrics (trying to give the light the slip, etc) seemed to resonate well with the mood of the novel. Could you please clarify the publication date for Shadow Captain? I enjoyed Revenger immensely. Amazon seems to have bumped it to next January? BTW, I have a suspicion we conversed back in the early 90s when I hosted a Baxter webpage at Imperial College. As far as I'm concerned it was only ever going to be January 2019. The first major set of editorial revisions are done, though, so it's all on track.